The rising number of pet owners across the world has driven the demand from a widespread network of industries catering to various demands of pet animals. From food to training and from security to healthcare, each segment of the pet care sector has risen to become a major industrial sector itself in recent years. The veterinary infusion pumps market has been a key beneficiary of this and has risen rapidly in accordance with the technological updation timeline of the pet care industry. Pet healthcare has been a key topic for pet owners in recent years, as a part of a wider movement concerning the growing demand for better treatment of animals in all fields. Animal healthcare has thus become a major investment destination in recent years and both husbandry and pet care is likely to remain a major part of the overall medical industry in the coming years. Veterinary infusion pumps are used in major operations such as blood transfusions and overseeing total parenteral nutrition. The rising intensity of pet care is likely to make such operations increasingly common in the coming years, with increasingly sophisticated medical technology being dedicated to pet care. The dominance of hospitals as an end user in the veterinary infusion pumps market is also indicative of the rising prosperity of the pet care sector and the increasing use of surgeries in pet care, which is a key driver for the global veterinary infusion pumps market. Veterinary care is a flourishing market. Pet care has become of an utmost importance in various households across the world. To oversee and examine fluids for various clinical conditions in animals, veterinary infusion pumps have played a crucial role. On the basis of type, the market can be segmented into syringe infusion pumps and large-volume infusion pumps. Based on end user, the global veterinary infusion pumps market can be classified into teaching hospitals, private hospitals, and private clinics. In the report, provides a detailed analysis of drivers and restrictions in the global veterinary infusion pumps market. It also offers insight to the various segments and regions of the market. Based on type, large-volume infusion pumps is a prominent segment in the global veterinary infusion pumps market. The large-volume infusion pumps are more in demand as they are used in blood transfusions, overseeing total parenteral nutrition at continuous programmed medium-to-high flow rates, and during critical conditions, supplying large volumes of fluids to animals. Private hospitals are expected to dominate the end user segment of the market in the forecast period as well. Due to advanced technology and better care under the guidance of a well-practiced veterinarian, many pet owners and pet adoption organizations opt for private hospitals. The market is driven by various factors such as the rise in the number of veterinary practitioners and their income levels, growing demand for pet insurance, increasing animal healthcare expenditure, technological advancements, expanding demand for animal food products. In addition, due to increase in the number of animal diseases, the demand for surgeries has gone up, thereby impacting growth of the market in a positive way. A significant rise in the adoption of companion animals is another key factor for the market growth of global veterinary infusion pumps. Moreover, new product launches and approvals, partnerships, agreements and collaborations among market players and are also providing impetus for the growth of this market. 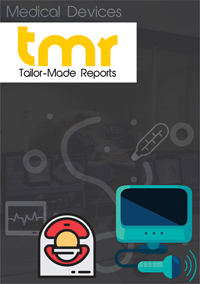 Acceptance of the cone beam imaging market systems in breast imaging and untapped emerging economies subsequently provide significant growth opportunities in the market. On the other hand, high cost of instruments and lower animal health awareness are a few of the factors limiting the growth of the market. Geographically, the global veterinary infusion pumps market can be divided into Europe, Asia Pacific, North America, Latin America, and the Middle East & Africa. North America accounted for the maximum market share in the global market. The reason for its dominance on the market is the expenditure on pet health care and high pet adoption rate. Another region that is projected to show considerable growth is Asia Pacific. The rising livestock population, increasing pet adoption, growing animal healthcare expenditure, and rising demand of animal derived food products are the key factors that drive the market growth. The report profiles some of the key players in the global veterinary infusion pumps market based on various attributes such as company overview, business strategies, recent development, and financial overview. Some of the prominent players in the market are Mediaid Inc., Jorgensen Laboratories, Heska Corporation, Digicare Biomedical Technology Inc., B. Braun Melsungen AG, Q Core Medical Ltd., Grady Medical System Inc., Burtons Medical Equipment Ltd., Jørgen Kruuse A/S, DRE Veterinary, and Kent Scientific Corporation.